Catch the PC EXPRESS WAREHOUSE CLEARANCE SALE happening until December 3, 2017 at PC Express Pavilion Mall and Shaw branches. 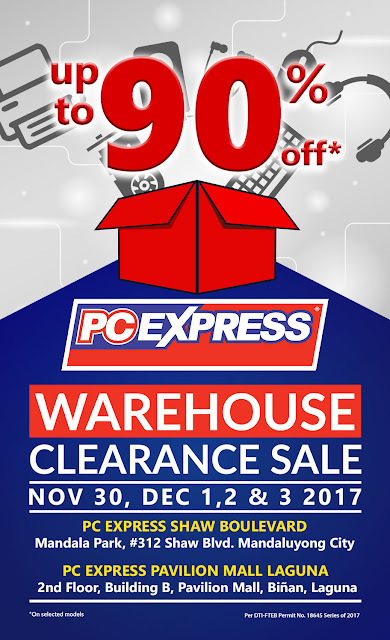 Get discounts of up to 90% off on participating brands of laptops, accessories, peripherals, components, smartphones and other items at the PC. 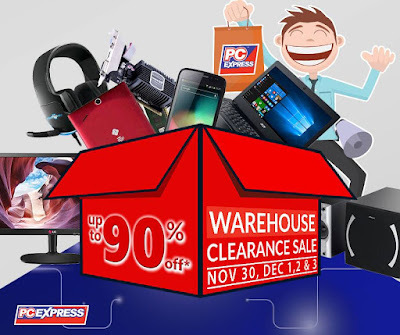 Please click HERE to view participating products at the Pavilion Mall, click HERE to view participating products at PC Express Puregold Shaw Blvd Mandaluyong.